Inuk is that once in a lifetime dog. From about 4 weeks of age there was something about Inuk that stood out. Each time I looked into the whelping box my eye always hit him. 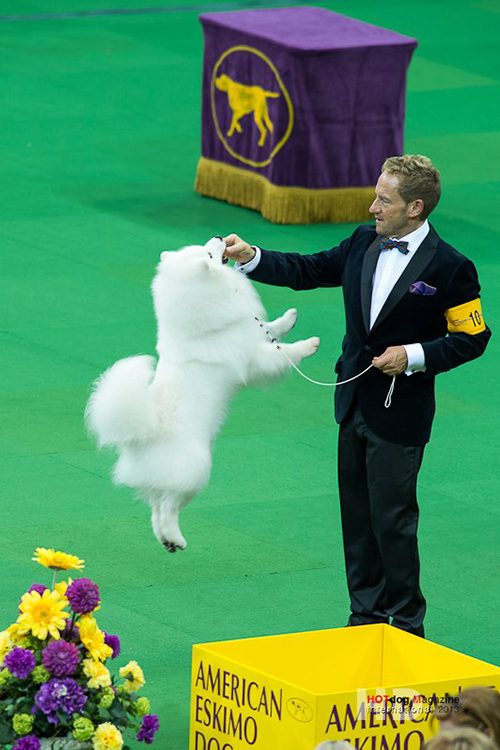 He has earned many achievements in Canada and the United States that other eskies may never break. 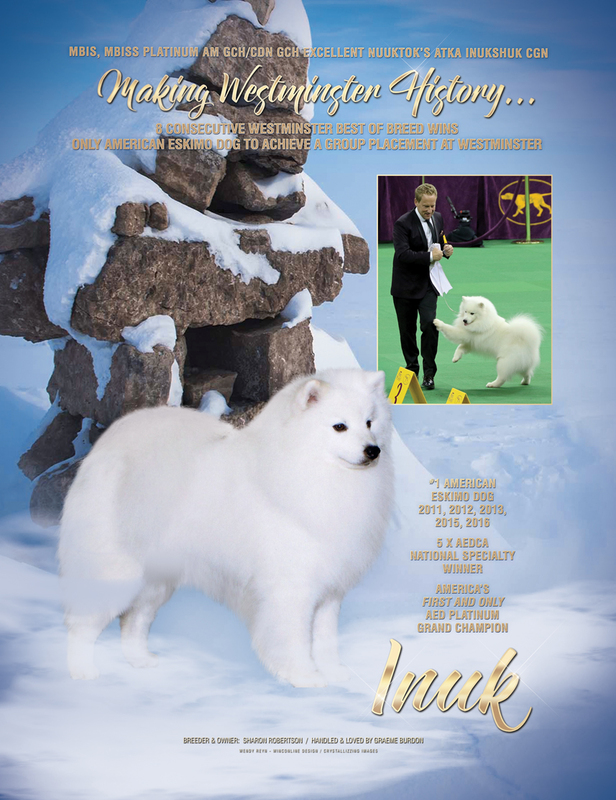 Inuk is the only American Eskimo that has achieved Multi Best in Shows in AKC. 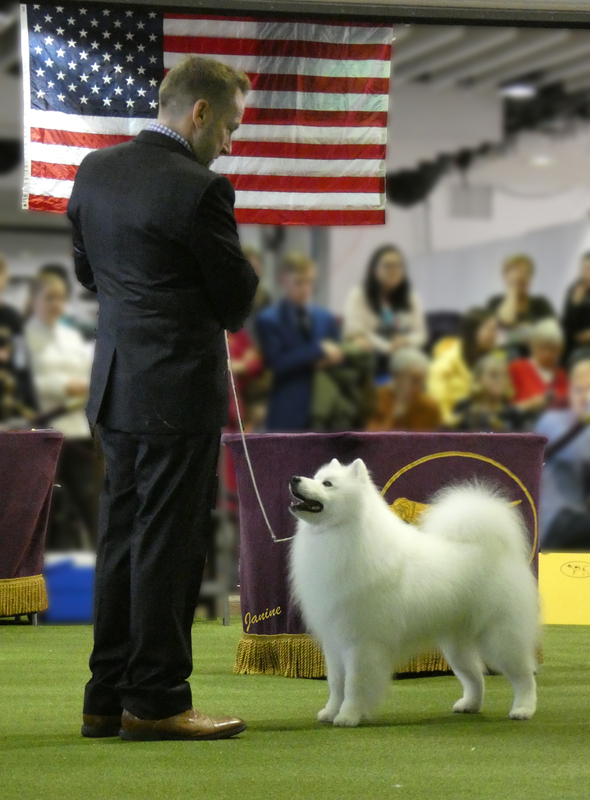 CKC and UKC, and the only American Eskimo that has achieved a Canadian Grand Champion Excellent and was the 1st Platinum level grand champion. 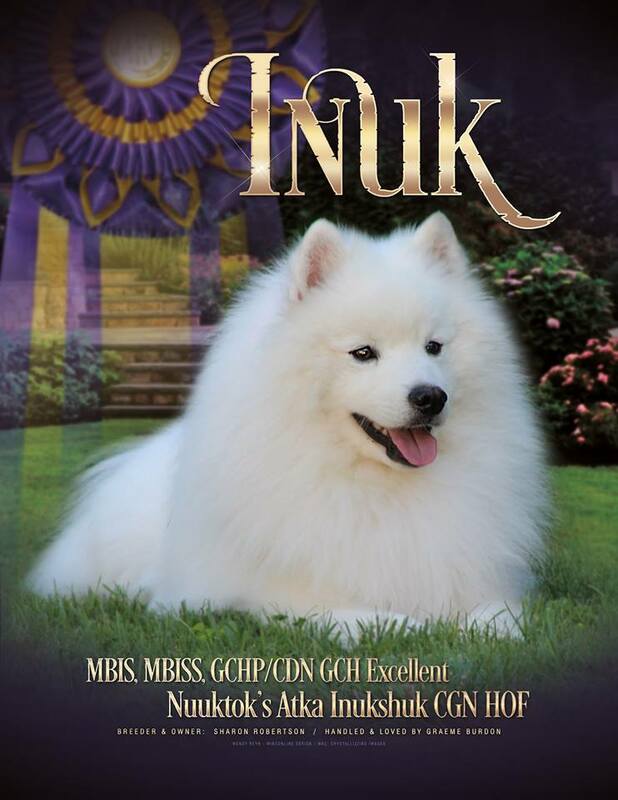 In Feburuary 2018 Inuk set a 142 year record being the first of any breed to win 9 best of breed wins. 9 Time Westminster KC Best of Breed Winner.